9 Days Lemosho Route the more adventurous version of the 9 day Lemosho route. Ascending via the Western Breach has increased danger of rockfall and so has a separate mandatory waiver form for those that want to ascend this route. Nevertheless, spectacular. Touch down at Kilimanjaro International Airport. After clearing customs and immigration formalities you will Leken Adventures guide will be awaiting for you with a board bearing your names.Take a private transfer to Arusha where you will spend the night. Today is a rest day which is designed to give you plenty of time to relax, pack and recoup from the long journey. Leken Adventures guides will meet you late in the afternoon for a short climbing orientation. You will be given you a climb briefing and answer any questions you may have. 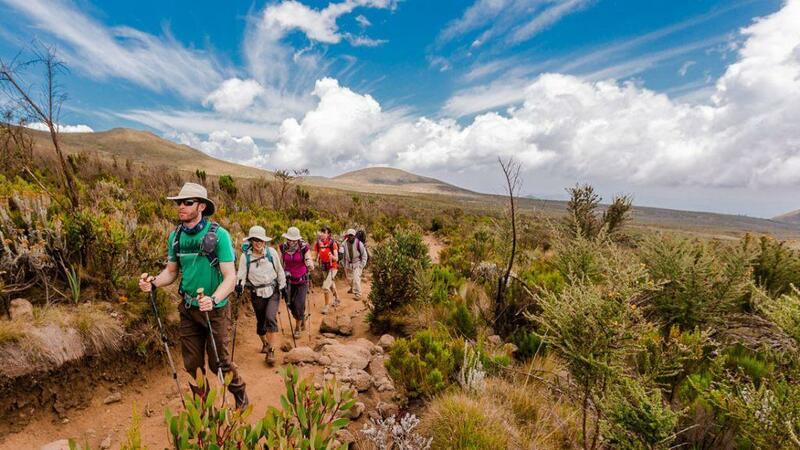 Your Kilimanjaro guide will also do an equipment check to be sure that you are fully prepared. Later today you may also decide to walk with your guides or cultural exchange with indigenous people. After breakfast in your hotel in Arusha, you will drive for approximately one hour and half to the Kilimanjaro National Park, Londorosi gate. At the gate you will have to check in and register, then you will have an opportunity to meet the rest of the climbing crew, such assistant guides, porters and the chef. Today you your trek to the first camp will take about 4 hours through the undisturbed forest to our camp for the night. 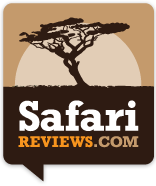 With luck we will be able to see Colobus monkeys and signs of elephants or buffaloes and other forest wildlife on our hike to camp. Today you will take your time hiking through the forest which will afford you an opportunity to spot plentiful game and bird life. The hike will take you up through the Montane Forest and the Hagenia forest zones. You will be able to see the unique environmental differences that characterize these equatorial zones. Take your hike today which will last for about 4 hours across the Shira Plateau, A World Heritage Site, another hour will take you up the western slope of the Kibo Massif. Spend some time admiring and exploring the plateau, before you get to your picnic lunch site. You overnight camp will be set up in the upper heath and moorland zone in full view of the Western Breach. After breakfast today you will have a longer hike of approximately 6 hours to your overnight camp just under Lava Tower, which is a 300 foot high volcanic lava plug that juts out of the side of the mountain.After lunch, you can climb to the top of Lava tower to enjoy the scenery of the surrounding areas and descend down to the camp before dinner. Adequately, this will increase your performance by acclimatizing high on top of the tower. This will be your first introduction to the alpine zone, with the only plant life being the hardiest of grasses and lichens. You will enjoy a spectacular view of your final ascent route up the Western Breach wall and the Breach Icicle. Experience the Western Breach ascent route full view, as you take 3 hours trekking to the base of the route where you will camp close to Arrow Glacier. Today you will mostly be spent resting and conserving strength, but there will also be an afternoon hike partway along the climbing ascent route. This is designed to get you to higher elevations for better acclimatization and give you a chance to familiarize yourself with the beginning of the longest hiking day of the whole climb. Today is an exciting day as you wind your way up the Western Breach. It will take about 5 -6 hours before reaching crater rim of the main Kilimanjaro summit massif. After the hike and you still have the energy, you can explore the inner crater and the ash pit before moving to your highest camp on the crater floor. This spectacular high camp is next to the Furtwangler Glaciers, with stunning views westward towards Mount Meru and the setting African sun. The high altitude of crater camp makes it a physically demanding experience, but the reward is a radical scene of towering glaciers rising from the harsh rock landscapes. You will start your final ascent that will take you to the summit (19,340′) early enough in the morning so that you reach the summit by 9:00 am. This final stretch of your climb is only 800 feet and can be undertaken after sunrise and a leisurely breakfast or just early enough to be at the summit during sunrise. This is quite a contrast to the 3,000 feet slog required to summit via all the other ascent routes on Kilimanjaro. Enjoy the rewards of seeing the summit crater glaciers and standing on Africa’s highest peak. After taking in the view from Uhuru Peak ,begin the long descend through Barafu Hut and down to your final camp near Mweka Hut. Descend further down in a hike that will take you about 4 to 5 hours to make the 4,500 feet descend to the park gate. At the gate, you will be cheered by your Kilimanjaro crew as you check out and receive Kilimanjaro Climbing certificate to confirm your success, then eat our lunch and say goodbye to your LAT mountain staff. After lunch, drive through very beautiful coffee plantations and small villages of the Chagga people back to Arusha, for a nice hot shower or swimming at the lodge and relax, looking forward to departing or going on safari the following day.